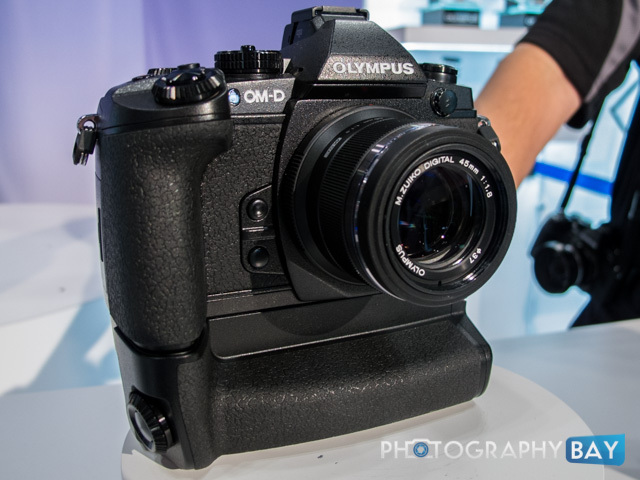 The Olympus OM-D E-M1 is the flagship camera in Olympus’ Micro Four Thirds mirrorless lineup. When you pick up the camera, it certainly feels like a flagship model. The tough, magnesium alloy body is immediately apparent, as are the plentiful controls available via external buttons, dials and switches. The controls are well-positioned, with several buttons and dials easily accessible for your shooting hand’s thumb and forefinger. 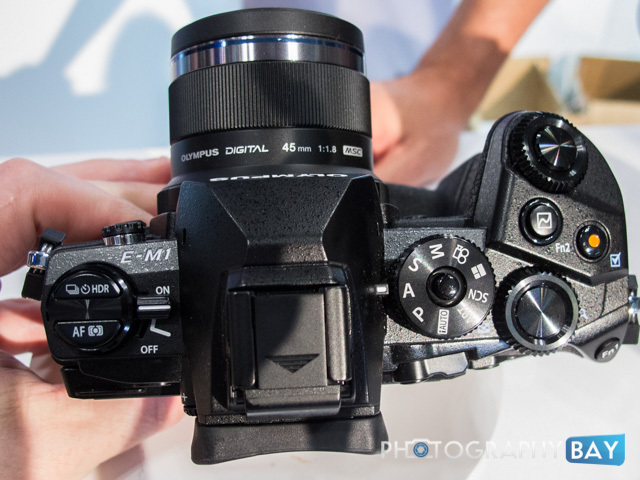 Additionally, more advanced controls for shooting modes (e.g., burst, timer, HDR, etc) and AF modes are positioned on the top-left of the E-M1. On the back, the 1/2 manual switch above the top-right corner of the E-M1 toggles the functions of the control dials and front programmable buttons. 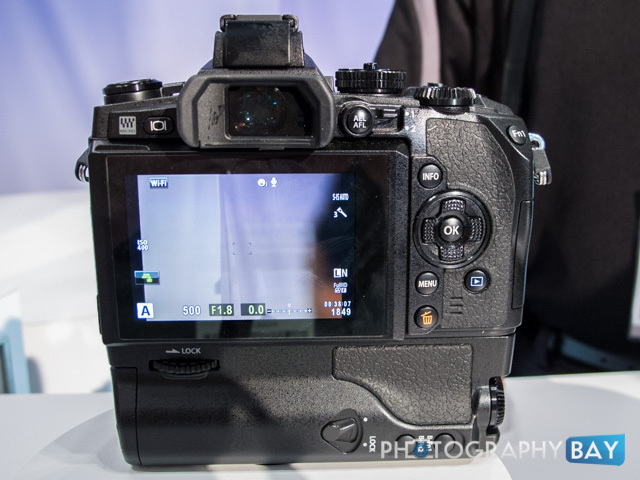 There are a ton of options and configurations for really making this camera your own. The shutter response of the E-M1 is fantastic, with a great feel once you press the shutter button. And the battery grip is just as solid as the rest of the camera. The weatherproofing of the camera is just icing on the cake. When shooting with the E-M1, it really feels like you are using a high end DSLR. The camera is so very solid and responsive. It’s hard to believe a camera this polished is only $1400. 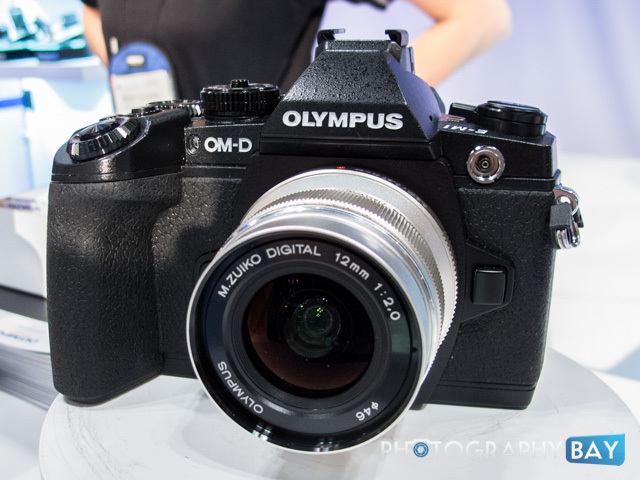 It looks like Olympus has a big winner on its hands with the OM-D E-M1. Most ugly camera I ve ever seen! And also 4/3. No, not a thing to buy. Paulus- aside from the fact that it’s “the most ugly camera I’ve ever seen,” what do you know about the MFT system? It has been said that the naysayers have never used MFT’s. 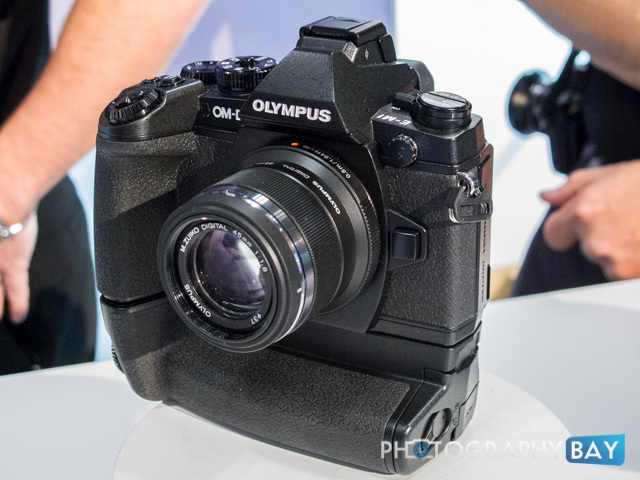 The reason I ask is that The OMD 1 is one of the cameras I’m interested in. I’m looking for CONSTRUCTIVE criticism to aid in my search. Other cameras I haven’t ruled out are other MILC’s. I would think about a smaller- but capable- DSLR like the Pentax K-3. Great weather sealing, Mag Alloy body etc. PS- I have had a lifetime love of photography but not of taking great pictures. My last camera was the Canon EOS Elan 35mm- the ‘last’ camera I was ever going to need. Very sketchy results- lots of rolls of film taken with few ‘keepers.’ With the costs involved I have been on a hiatus. I was not impressed with early digital but now… I would like to have an easily carried, very capable versatile camera as ‘the (NEW) last camera I’ll ever need! Something with a large learning curve is OK. I like the idea of a camera to take on day trips, street fairs/ celebrations but I also want to get into landscape, wildlife (I enjoy hunting and have seen many things that I just want to capture- not kill). I know this is getting wordy and you might not even be looking to respond but you made the comment for a reason… Thanks for any input. Micro four thirds is not for everyone. I had a EM-5 for 6 months and sold it. It does take great pictures if you are proficient at photography. But I cannot stand an EVF it’s like putting your eye against a small television screen. I find it tiresome for the eyes after a day of street shooting and at night forget it use the screen. In the end before I sold it I was using mostly the LCD screen for composition. Like a really expensive point and shoot. DSLR is the best whether it’s DX or FX, the optical viewfinder is way better. If you want small then get a small dslr….if can’t take great photos with a small camera you sure won’t with a big one. The camera is only a tool, the photographer is the operator who knows composition, depth of field., shutter, aperture, ISO and the rest. Learning and practice is the key to great photos. If you are unsure about M 4/3’s or dslr, just rent a camera with television optical finder for a day or two and then make up your mind. Back in the day, most people did not drive Pinto’s but I knew a guy who loved them and drove it like Richard Petty….go figure. Man y’all are missing it ! The OMD is an awesome camera!! The view finder is big and brite! Way better than my EM5 …..Ive done a test with my Canon 5Dlll both with head shots and both with 100% blow up. The OMD holds its own! Id like to post them for everyone to see just tell me where?? You can see some shots here..